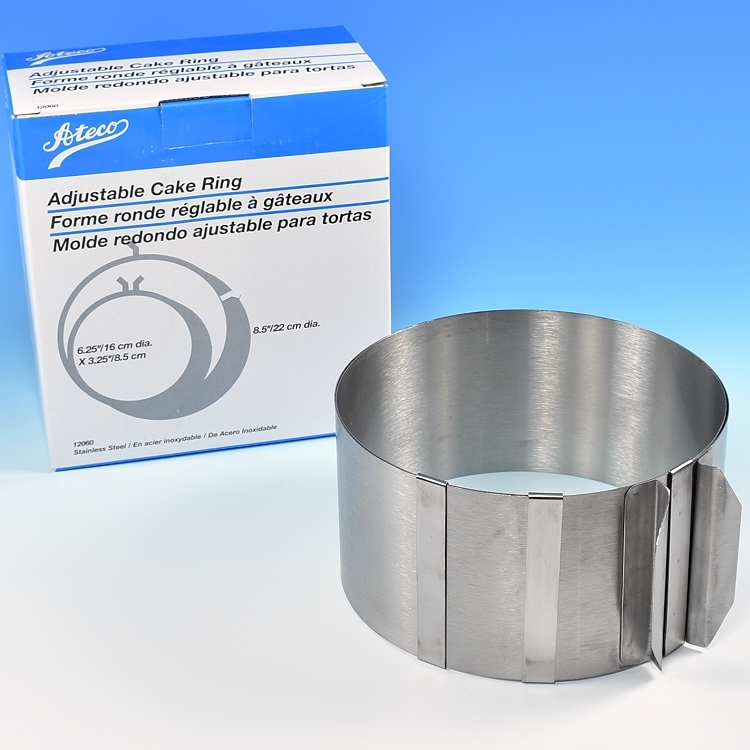 Now you can have a variety of ring sizes in one convenient Adjustable Cake Ring. 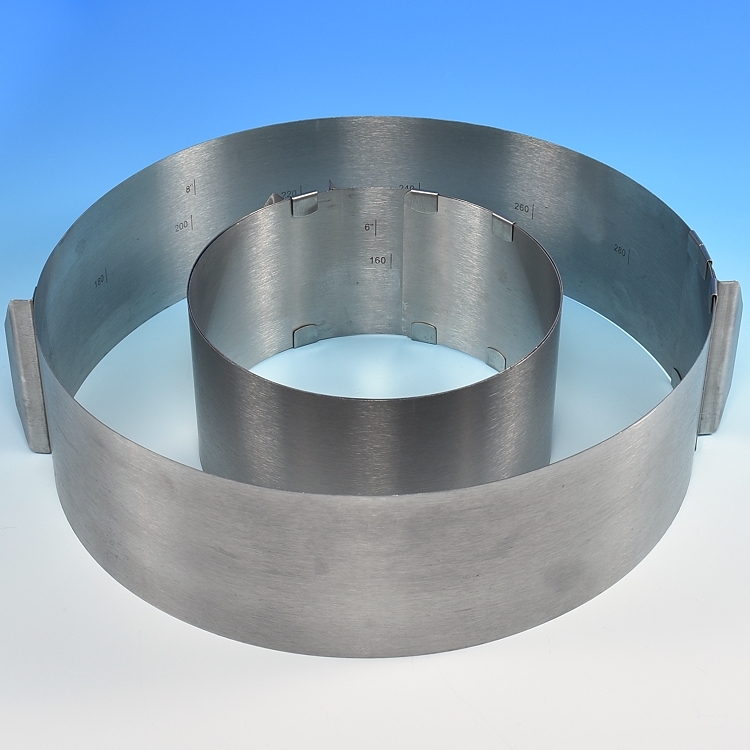 Universal round cake ring expands from its smallest dimension 6 1/4" to its largest 11 3/4". Made of brush stainless steel. 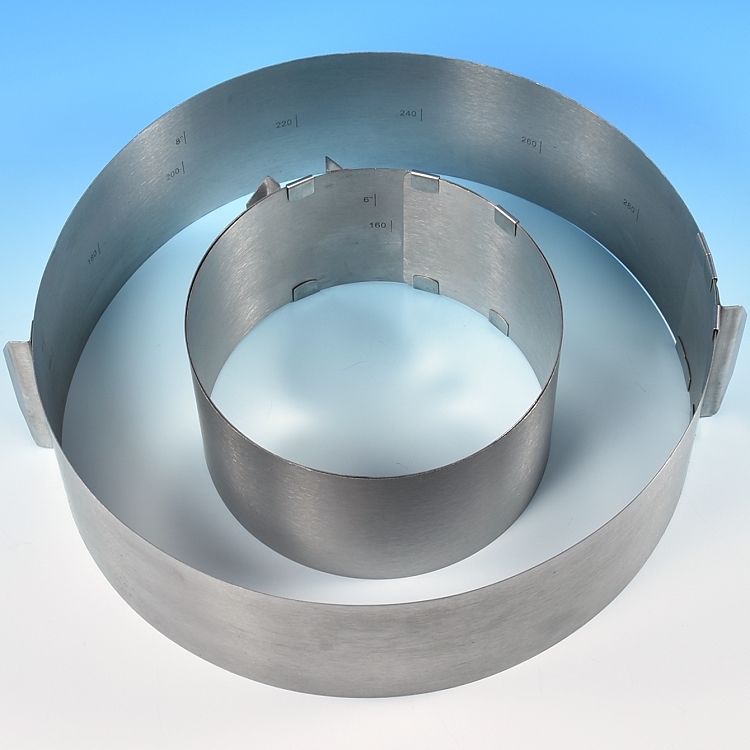 Easy opening and closing of the ring by its dual handle design.